Hi, I've just joined this forum. My four-year-old is a Lego addict, having had his first bricks (a mixture of Duplo, Lego and Technic) given to him by kind neighbours when he was two. This got him off to a flying start. Of course we enjoy buying and building new sets with him, but even more fun is the "thrill of the hunt" when seeking out Lego bits and bobs in charity shops, EBay and Gumtree adverts and the like. We recently bought a huge box of mixed bits from a charity shop for just £4, which included many parts that were new to us, and lots of minifig bits. So I'm currently trawling the web trying to identify some of these pieces. There are some very useful databases out there, and those pieces with visible part numbers have been sorted out. There is one part that's proving elusive though. 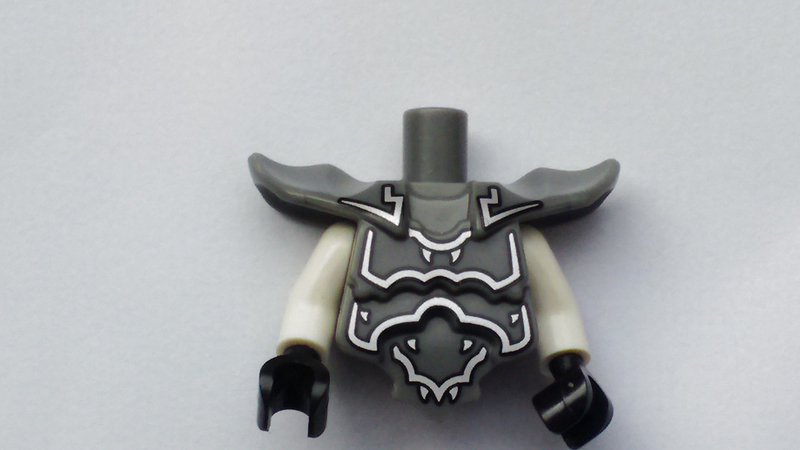 It's a minifig torso, but shaped differently, with moulded-in armour and shoulder pads and a descending triangular piece at the front. It won't fit to a pair of minifig legs, so I suspect that it's a different type of torso that needs an extra midriff part to join it to the legs. No luck finding this on any databases so far, though. 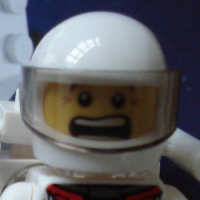 It's possible that it's not a Lego part, but the moulding quality seems Lego-like to me. I've looked all over for a part number with a high-powered magnifier, but can't find one. I wonder if anyone here can shed any light on it? I've attached a photo. Welcome to the forum! Looks like that's the upper torso from njo235 Giant Stone Warrior, which apprears in #70591 Kryptarium Prison Breakout. When sorting through bulk lots, you can ensure a torso is genuine Lego by looking for the Lego logo at the top of the neck. There are a number of these in the Ninjago theme. They go on top of another torso, giving four arms and extra height. Not all of them are Garmadon. There is Kozu, Nadakhan, etc. I don't think Garmadon comes with this particular armour style as his armour shape is slightly different, but similar underlying upper torso.